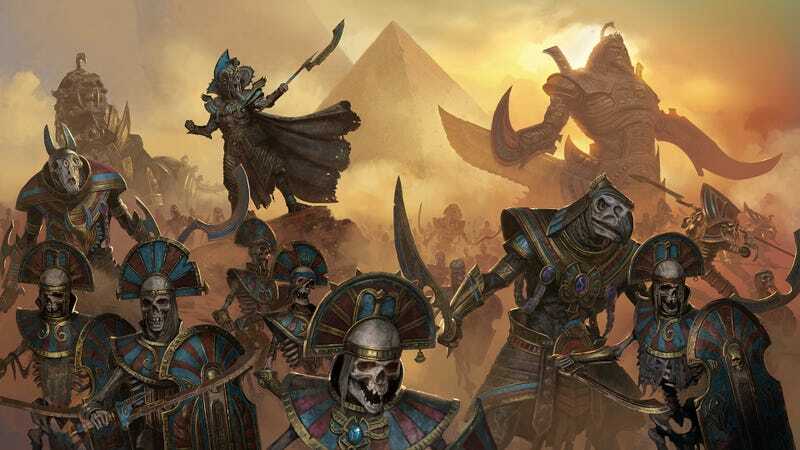 The Tomb Kings, sadly absent from the core campaign of Total War: Warhammer II, are coming as part of an expansion on January 23. It’s a paid expansion, and there’s no new story content, but there will be four legendary lords available, and they’ll be playable in both the vortex campaign (where they get their own quest to collect nine books) and the giant mortal empires map, which combines both Warhammer games in the one campaign. Rise of the Tomb Kings will be $19 at launch which...whew, I know there are four lords (which means each has their own set of unique stuff) and a whole new faction, but...yeah, that’s a lot.